MARIBOR DEVELOPMENT AGENCY is a non-profit professional institution serving the Podravje (Maribor) region as a regional development agency. Its efficient operating is powered by the network of internal and external experts for regional, sustainable, SME, tourism and human resources development, as well as business internationalisation. 8. working in close co-operation with municipalities and professional bodies concerned with the future of the region. Maribor Development Agency is acting as a member of the Enterprise Europe Network. The network is providing assistance to companies in the fields of internationalisation, innovation, transfer of know-how and technologies, as well as co-operation in EU programmes. Maribor Development Agency is responsible for the coordination of regional development activities in the Podravje region. Beside the preparation of regional development plan and annual action programmes it has experience in development of regional tourism development strategies, development of tourism products and PR activities. The agency was indirectly involved in project proposed activities while preparing the tourism development strategy and during the implementation of the action plan. For the successful implementation of project activities regional experts and other regional institutions would be involved in the implementation of project activities. 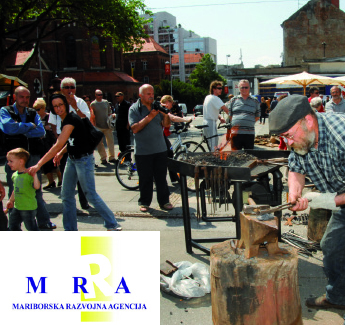 Maribor Development Agency has designed, participated in and implemented more than 40 projects supported by the European Commission and national partners. It has comprehensive background knowledge in respect to regional development plans, creation of regional economic information system, regional strategy of tourism development, border tourism and agriculture development, international cooperation and development of business clusters and networks. The know-how and experience gained is exchanged through a fruitful co-operation with the Chambers of Commerce, Chamber of Crafts, University of Maribor, technology parks / centres and other economic subjects.